Islamic State fighters are commonly referred to as ‘ISIS rats’ on the internet. That unflattering designation may have gone from being one of mere pejorative to one being literally true. 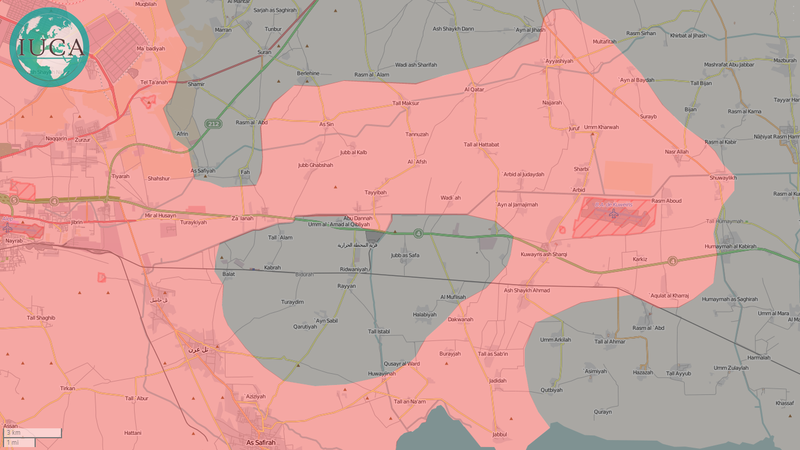 It is being reported that the Syrian Arab Army has seized the last remaining village along the Aleppo-Raqqa Highway, thus completing the encirclement of 800 ISIS members in East Aleppo and trapping them like, well, rats. It is an especially cruel and ironic twist of fate for these sad souls as a great number of them were no doubt part of the siege of the Kuweires airbase located in the same region. The Syrian Army somehow managed to hold out for 18 grueling months until Russian air power eventually broke it down in November 2015. ISIS is in for a very painful experience. There is nowhere to run and nowhere to hide. No one will be coming to help them and there is no escape. There is just the wait. Waiting under Russian jets and surrounded by an enraged army – an army so many members of which were subjected to some of the most appalling war crimes imaginable. With ISIS’ limited skills in negotiation, this could be a very harsh and brutal end of the road.